Anita Edwards from All Saints (left), Brenda Thacker, Program Coordinator at DCDC, and Catisha Bryant. The All Saints Episcopal Servant Ministry Committee recently announced a contribution to the Dare County Detention Center programs. 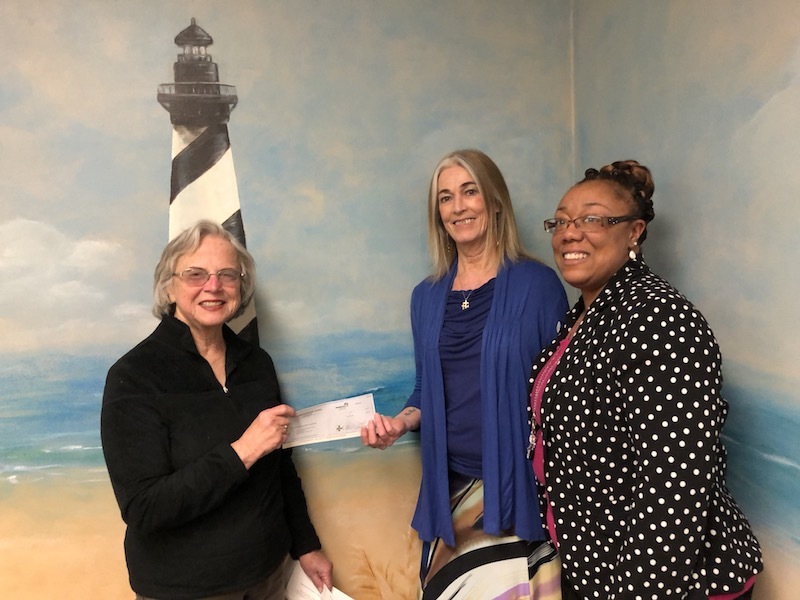 These funds will be used for the purchase of books in the Help Women Recover Program and Beyond Violence and Anger classes held by Catisha Bryant of the Dare County Health Department.